More is less in this overblown fourth round of murder and maiming for amnesiac Los Angeles TV correspondent Ariel Gold (Split Image, 1998, etc.). A predawn phone call warns Ariel that her yoga teacher, Laya, has been blinded (permanently?) by maliciously tainted eyedrops, presumably to prevent her from identifying the two miscreants she saw beating a man to death in an alley shortly before. Back at her desk at TV newsmagazine Open File, after her initial struggle to get independent Laya to try psychotherapy and a cornea transplant, Ariel gets an even more disturbing message in a letter marked “PERSONAL AND CONFIDENTIAL.” The writer, identifying herself only as Dorothy, worries about a mutual acquaintance who’s killed once and may kill again; she begs Ariel to call her. Obviously Ariel is supposed to know both Dorothy and the suspected murderer, but her amnesia makes unearthing any memory of them an intolerably extended exercise as she questions her wealthy grandfather and networks with his socialite friends, dividing her time between L.A. and the Bay Area. Ariel’s silky doggedness in pursuing every lead, no matter how unpromising or unfruitful, suggests a police procedural with the long-suffering police replaced by a well-connected celebrity newscaster who’s got resources. It’s an incongruous mix, made insufferable by the inconsequentiality of most of the chitchat. Mercer, who seems less interested in wrapping up either case than in continuing the process of unfolding her heroine’s family romance, pads the package as if she were being paid by the word, and both plotlines end up fizzling out in a shower of anticlimactic sparks. 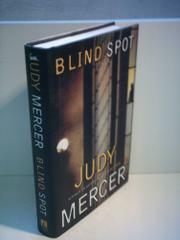 Lacking the architectural skills to sustain an almost 500-page novel, Mercer takes a big step back into well-upholstered fluff that makes Mary Higgins Clark look like a master.